Date-Sweetened Chocolate Pistachio Bites are a perfect bite of homemade creamy goodness that doesn’t require an oven! 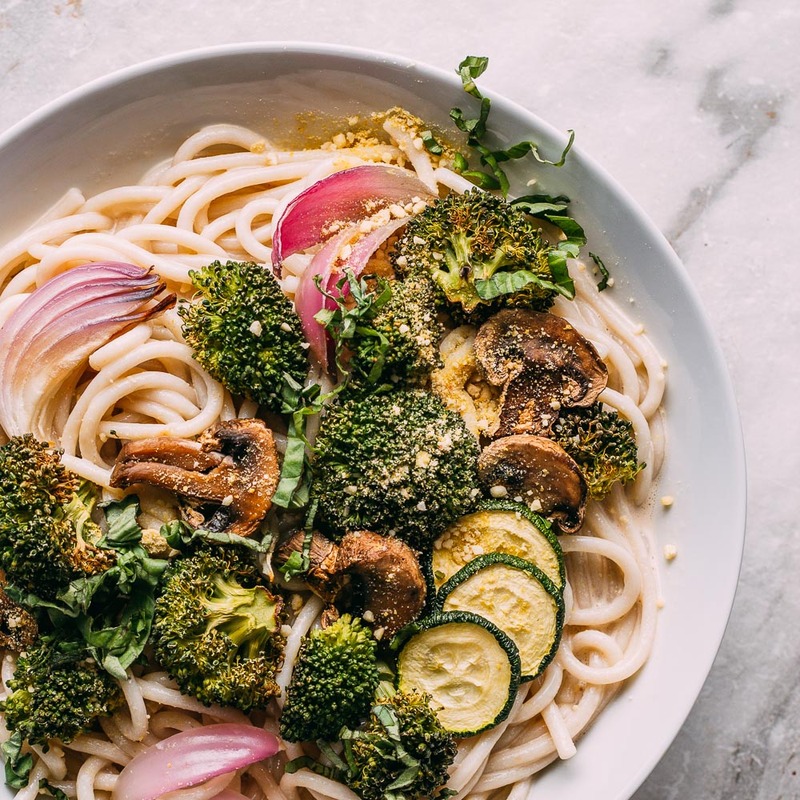 Since I live in an area where it is summer almost every day, I love recipes that require little to no cooking! And even though there are plenty of those occasions where it is just way too hot to turn on the oven, that doesn’t mean that I don’t crave something sweet! 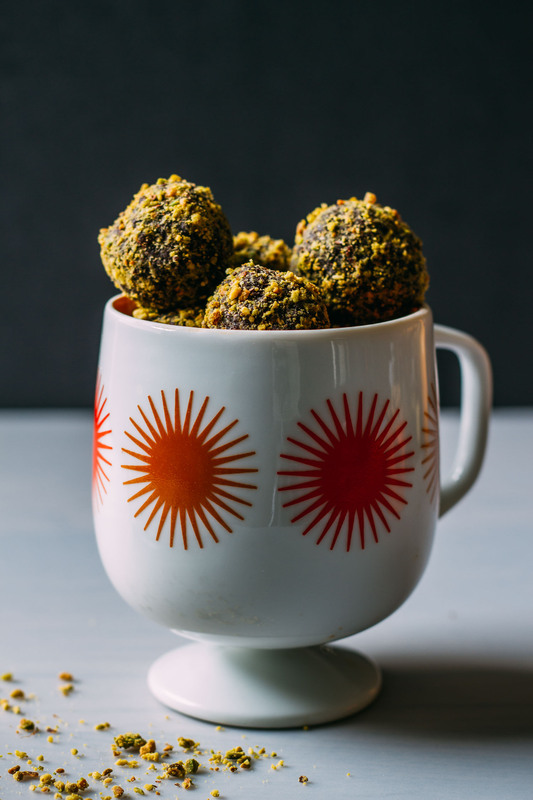 So that’s where these lovely little Date-Sweetened Chocolate Pistachio Bites come into play! 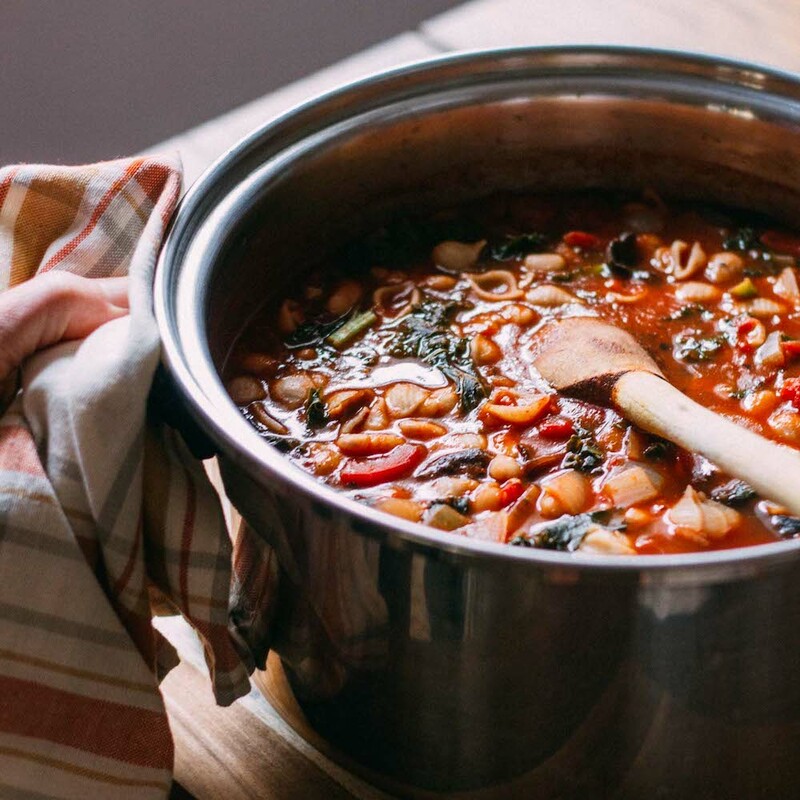 All you need are a few wholesome superfood ingredients and a food processor – no oven required! 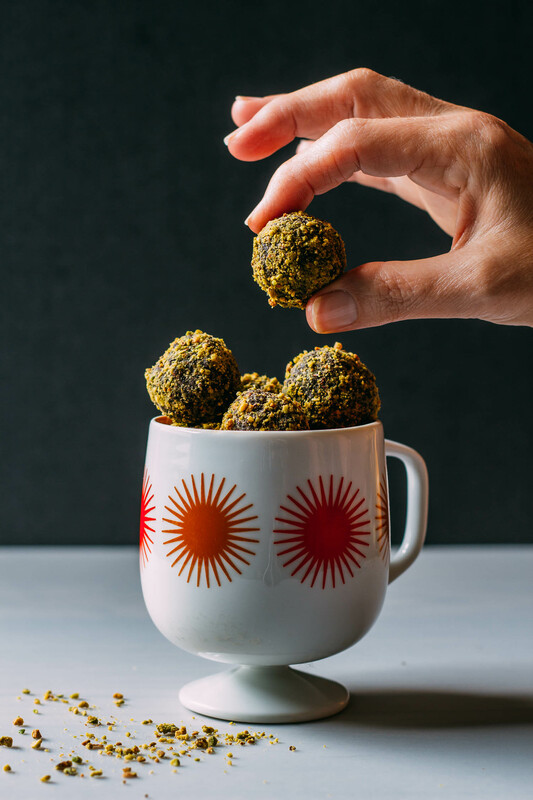 Since my recipe for Date-Sweetened Chocolate Pistachio Bites is raw, there’s no cooking involved at all. 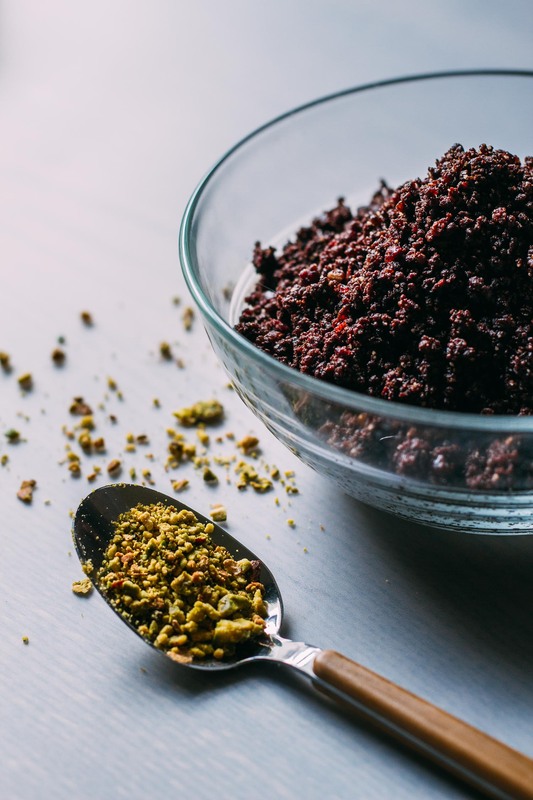 In fact, these tasty treats may very well be the most simple no-cook chocolate infused recipe around…not to mention the healthiest! They’re like tiny treasures of chocolate that are good for you. 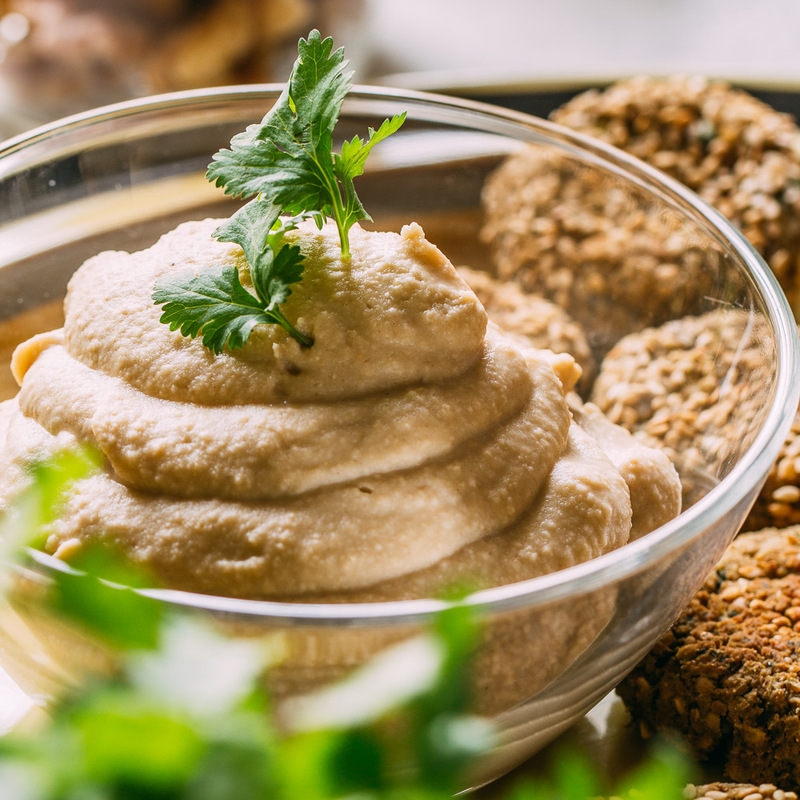 Walnuts are my first choice as the base ingredient for these satisfying little bites for a boatload of nutritional reasons. Did you know that walnuts are a superfood? Walnuts are a terrific source of plant-based protein, healthy fats, and fiber. Studies show that walnuts improve heart health by lowering cholesterol. Walnuts help stabilize blood sugar and improve type II diabetes. The high antioxidant content of walnuts helps to lower risk of cancer. So how do these no-cook Date-Sweetened Chocolate Pistachio Bites taste? Well, the first word that comes to mind if I were trying to compare them to something else is truffles. Since they’re very creamy on the inside, they remind me of a decadent, rich and chocolatey truffle. Make a batch and share half with a good friend. Or if that’s too much sharing to ask, which I totally understand, make one for home and another one to share. Then get ready to watch as jaws drop in awe at your candy/truffle/brownie making skills. The fact that they are easy to make and look so special gives this recipe bonus points in the sharing department too. It’s next to impossible to make these treats look anything less than inviting! 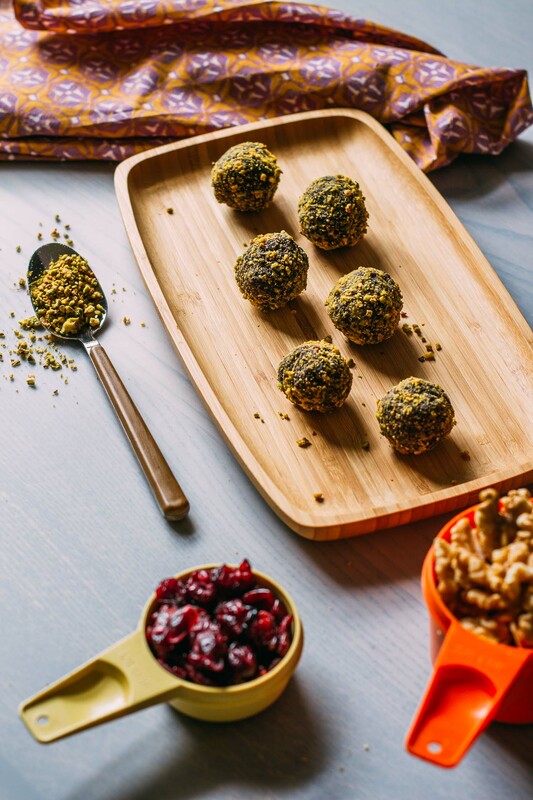 Let me know how it goes when you try these sweet truffle-like bites, and by all means, Pin this recipe to keep track of it and easily share it with your favorite friends. 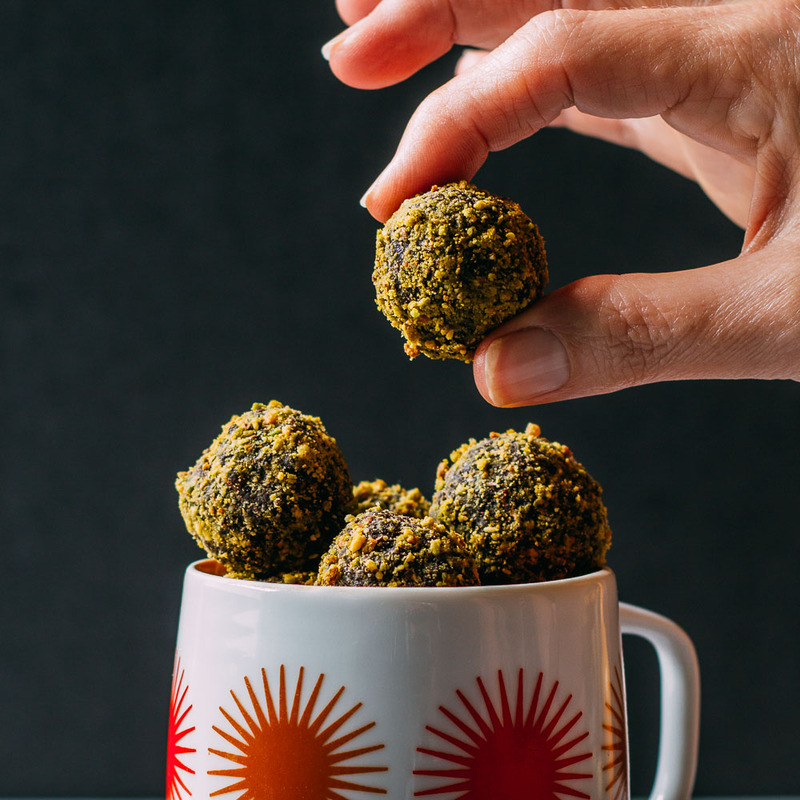 Combine these seven wholesome raw ingredients, and you’ll get about two dozen or so decadent Date-Sweetened Chocolate Pistachio Bites in as little as ten quick minutes! And this lovely little dessert doesn’t create that horrible sugar high that’s quickly followed by an energy-draining crash because it’s sweetened with dates. These are our new favorite go-to for a sweet chocolatey treat that’s healthy! These taste especially lovely with a mug of coffee, tea, or if you prefer something cold, a serving of our delicious, nutritious, 5-Minute Banana Cardamom Milk! 10 large Medjool dates, pits removed, about one generous cup - We recently came across this deal on 2 lbs of organic Medjool dates. 1/2 cup of raw cacao powder - We use this organic brand and have found it to be a great value! To begin, in a food processor, grind the shelled pistachios in quick pulses until you arrive at a consistent texture. Empty the ground pistachios to a plate or shallow dish. To your empty processor, add the walnuts and process for a few seconds until very finely chopped. Next add the pitted dates, raw cacao powder, salt and pure vanilla extract. Run the processor until the ingredients appear entirely combined and crumbly. Now it's time to add the dried cranberries or other dried fruit of choice to the crumbly mixture and process for a couple of additional quick pulses. You don't want to run the processor too long because, in the end, it's kind of nice to run into a tasty sliver or two of the dried fruit. Pour the crumbly mixture into a medium mixing bowl. Take about 1-1/2 teaspoons of crumbs and using your hands, squeeze them together and roll to form a ball. Each ball should be about 3/4 of an inch in diameter. Repeat to make at least twenty or so Date-Sweetened Pistachio Chocolate Bites. 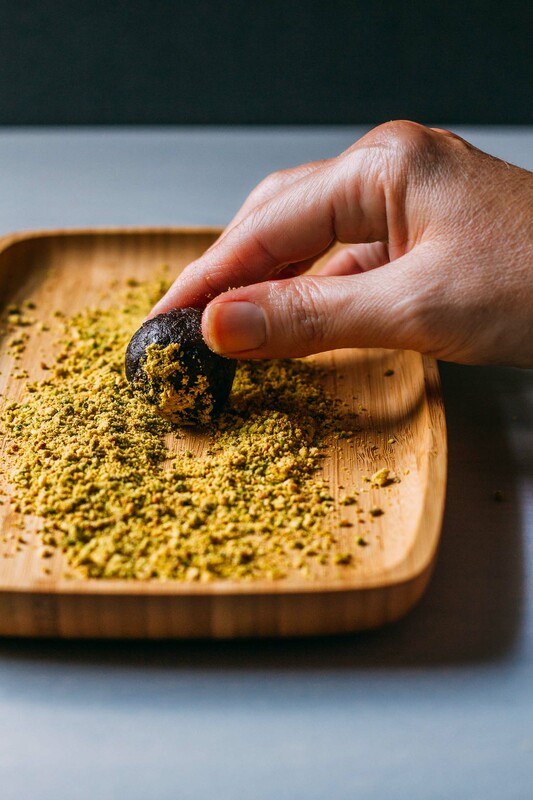 For the big finish, roll each bite in the finely ground pistachio crumbs. Serve and enjoy immediately or store in a sealable container. If storing for more than three or four days, I'd refrigerate. Don't be alarmed if the dough appears a bit crumbly. When you scoop two teaspoons of it in your hand and squish, the Medjool dates and other dried fruit will help the shape hold together. Walnuts are my go-to when making this raw treat because I love their valuable nutrients and I think they allow the pistachios to shine. Almond could be a good substitute (if you're not into the flavor of walnuts.) I've only tried this specific ingredient combination with walnuts, and I love the balance of flavor it achieves. I imagine pecans would work similarly to the walnuts, but they might make this treat taste just a little sweeter overall.